Unfortunately there are lots of “gamers” out there who think that slow gaming or skipping is caused by substandard graphics cards or limited RAM. The fact is however many gaming problems do not come from the motherboard. 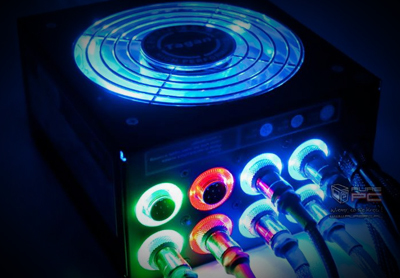 Instead many problems can be traced directly to the Power Supply Unit (PSU). 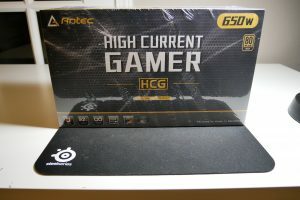 If you are running a high-end GPU and about 750 watts of power, try an experiment: Replace that 750 watt PSU with a 600 watt PSU and then crank up a graphics heavy game like WOW. This small drop will lower performance noticeably. 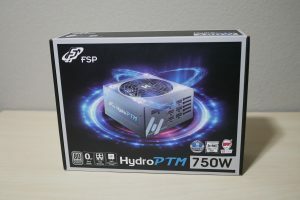 The question of using the proper PSU for gaming has plagued new gamers for many years and most people react by overcompensation and buying a power supply with much larger than necessarily, which is a real waste of resources. Finding the right power supply for your new gaming right does not have to be a nightmare or a maxed out credit card. One consideration that is very important however is whether or not you are planning on over clocking your processing units. There are a number of power calculators online that will help you get the right sized PSU but you must remember that these calculators are designed for standard rigs, not over clocked rigs. The first thing to consider however if you are planning on over clocking is the brand of PSU to use. The next step is to use a power calculator to determine the recommended rating for a standard gaming computer. The calculator will use all of the power loads in your system and determine the optimum power supply rating. Even with a good PSU however if you overclock you will need more power. First of all digital chips are CMOS and power consumption goes up with frequency. If you over clock a 4GHz CPU that is consuming 100 watts it will increase consumption about 25% to 125 watts. This means that power consumption goes up with the square of voltage. This means that if the voltage does not change consumption increase is linear. Consider a peak power consumption of 230 watts using an FX-6300, which stock goes as high at 1.3 volts. If you add .1 volt to that the formula would be (230 / 1.3^2) * 1.4^2 * 9/7 and then divide by 1.3^2 to get wattage at 1v, then multiply by 1.4^2 for wattage at 1.4v, then multiply by 9/7, or 45/35, or 4.5/3.5, to get the clock speed. Not difficult at all and taking the time to run the numbers can save you hundreds of dollars later.